Crazy Dog Train-Me! Minis Chicken Flavor Dog Treats were created so that you can reward your small dog or puppy with a special training treat. These savory mini bites have been recommended by thousands of professional trainers because they motivate dogs to learn new tasks. 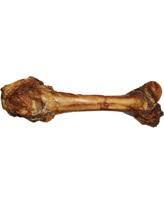 And what pup wouldn’t be focused on the tasty prize—a real-meat treat with a smoked chicken flavor. Train-Me! 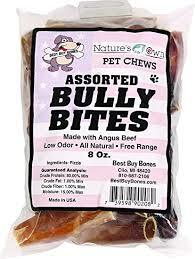 Minis won’t add tons of calories to your dog’s diet, and each tiny treat contains no corn, soy, BHA, BHT or ethoxyquin. Dogs simply can’t resist these tempting treats, especially when they’re given as delicious training rewards. 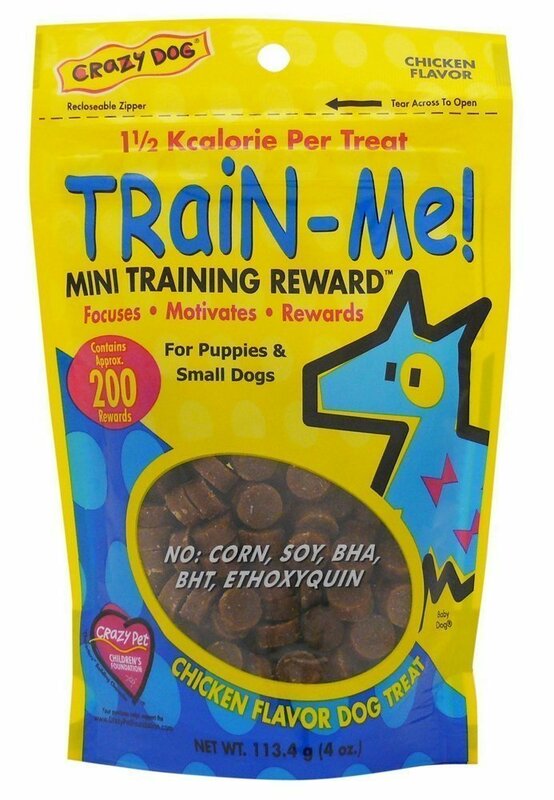 Perfect training treats for rewarding small dogs and puppies, with just 1.5 calories per treat. The first ingredient is meat. Contains no corn, soy BHA, BHT, or ethoxyquin. Designed to attract, focus, motivate, and reward dogs, and speed up the learning curve. Resealable bag with approximately 200 treats, perfect for rewarding on the go. 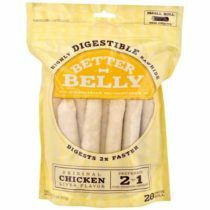 Delicious chicken flavor in a low fat, low calorie treats that’s great for repetitive training because it won’t fill your dog.